The tattooed skin of Epimenides was preserved at the courts of the ephores in Sparta, allegedly as a good-luck charm. 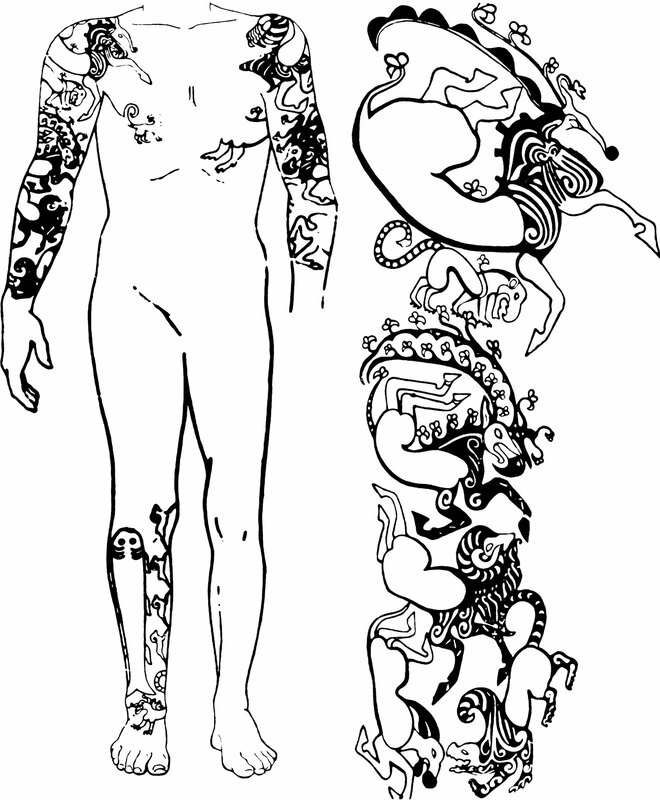 One of the founders of the ancient Gnostic mysteries of Orphism, was said to be a Cretan man named Epimenides (Greek: Ἐπιμενίδης), whose tattooed body and skin were held venerable by the ancient Spartans because it was said to reveal “secret things.” Epimenides had lived in the 7th century B.C. and was born in the city of Gnosis, which today is called the city of Knossos (Latin) on the modern-day island of Crete in the Mediterranean Sea. Epimenides was considered a law giver, prophet, sage, and even a savior to his people on the Holy Island of Crete, and also to his brothers, the Spartans in Athens. 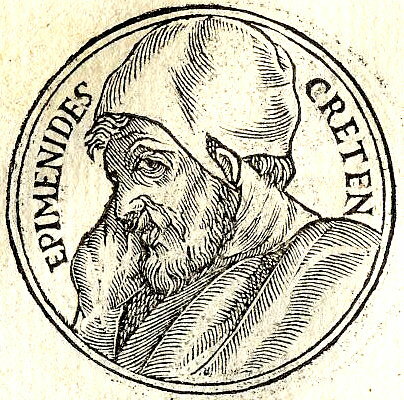 Epimenides was a religious man who spent much of his life in his devotions connected with religion. He was a poet who composed several works in verse such as on the origin of the priesthood of Crete known as the Curetes and the Corybantes. He also composed in prose, a treatise on sacrifices. According to some authors, Epimenides died at 157 years of age, and according to others, 299. There is a famous legend surrounding the origination of the prophetic talents of Epimenides which the Greeks had usually embellished in mythology; that which shrouds factual people such as Epimenides and events of his wisdom, into epic myths surrounding their Gods and Goddess. A form of allegory and wordplay. The legend is, that while Epimenides was tending his father’s sheep, he is said to have fallen asleep for 40 or 57 years (on Mount Ida on the island of Crete) in a cave sacred to the King of Gods and Men, Zeus, and after which he reportedly awoke with the gift of prophecy. The story appears to be an allegory, showing us that Epimenides was asleep “figuratively” until he reached his older years. It was at this time when he finally had awoken from his proverbial slumber (asleep in the cave) to his inner Gnosis, when he suddenly becomes wise in many arts and almost godlike, and to which he would represent the word of god as a son of god. Hence, the reason why he was worshipped and why Saints are worshipped to this very day. This same cave became one of the most famous caves in the world that was almost exclusively used by this ancient Gnostic brotherhood for the initiatory rites in the secret mysteries. The exact cave where It was here where Pythagoras was initiated and had learned the laws of Minos. The meaning of the name Minos is Jupiter, and the Minoans the Children of Jupiter. The planet Jupiter was also called several names such as in mythology as Zeus, Minos, Sol and sometimes as Onus of the Egyptians, UR of the Chaldees, and OR (Or-phi.) of the Cretans and Phoenicians. 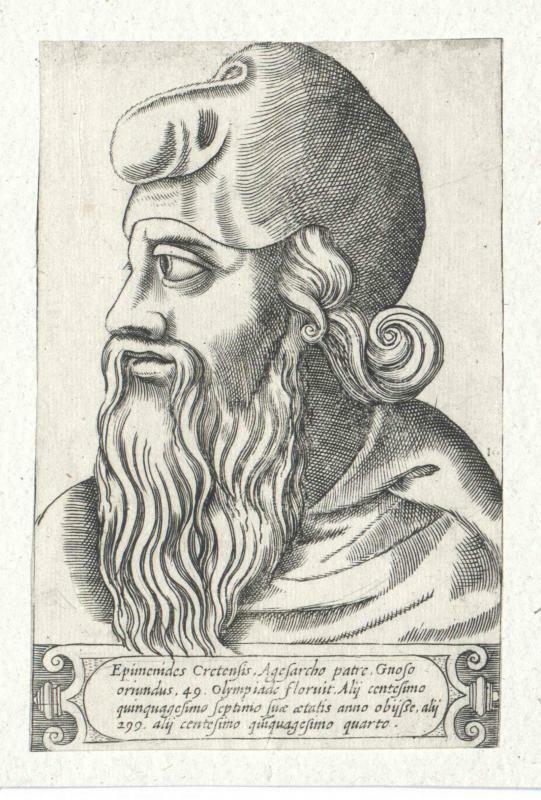 Epimenides was the founder who was venerated as a God being that he was the “Oracle of OR” which meant he was a prophet of Jupiter just like the Israelite Prince Moses was for Yahweh. Also as I mentioned above, he was also from the priesthood of the Cretan Curetes which would have given rise to Orphism, and then these mysteries gave rise to a famous Gnostic religious sect sometimes known as the Ophites. The Sons of the Serpent who practiced the ancient Gnostic mystery religion of Orphism, Jupiter and Isis which was related to many other cults such as the Cult of Dionysus which was one of the first Gnostic religions built on philosophico-religious teachings. Horace, a Roman lyric poet during the time of Augustus Caesar declared Orpheus (Epimenides) not only tamed fierce animals, but also savage men. He had said; “who instituted for us the most holy mysteries and declared that Justice is seated on the throne of God watching all the actions of mankind.” After Greece and Egypt were conquered by the Romans, the ancient religion of the Gnostics and the Orphic serpent mystery cults were enveloped under a veil of secrecy with the development of other cults such as Mithraism, Eleusinian mysteries, and the cult of Sol Invictus. As I mentioned above, Epimenides had purified Athens and for doing so he accepted the sacred oliver branch, and a promise of perpetual friendship between Athens and Knossus (City of Gnosis on Crete). To the Spartans, he was the chief shaman of their people, who was not only a seer, poet and advisor, but he was also a prophet who specialized in searching the past for truth. Hence, his knowledge was retrospective based on his Gnosis which is old knowledge relearned from the blood. A talent, that was once respected by the ancients and the world’s most powerful people for thousands of years. Pausanias reports, that when Epimenides died, his skin was found to be covered with tattoo writing. Some modern scholars have seen this as evidence, that Epimenides was heir to the shamanic religions of Central Asia, because tattooing is often associated with shamanic initiation. (Wikipedia) At the time, tattoos usually had indicated allegiance to a tribe, or their tribal deities in the same fashion soldiers and slaves had bore tattooed marks as allegiance or ownership of the government. In the case of Epimenides, it was said that his tattoos were directly from God or the word of God, since they were made of writing and said to hold secret things. The tattooed body of Epimenides was not just any body, but it would be considered holy, like that of a modern-day Catholic Saint or shaman, and worshiped as a savior. Epimenides’ Gnostic talents were similar to that of a Shaman. In the Shamanistic tradition, the soul is free to leave the body whenever it chooses to do so; it will do so when dreaming, but when the Shaman is not dreaming; almost as if the person is in a trance or dream-like state. 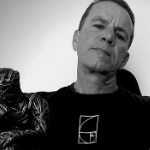 This is when the Gnosis occurs, and when the Shaman is able to tap his blood for secret knowledge to prophecy and/or communicate with his Daemon such as Socrates had done. Epimenides had simply perfected this ancient Gnostic craft. “The custom of tattooing really gained momentum, when a dominant class of tattooed rulers from the early Egypt, Lybian, Syrian and Greek royal dynasties had spread this custom around the world in the years spanning from approximately 2100 BC – 800 AD, but also much earlier as well. More well-known tribes of these painted people were known in the East as the ancient Greek Sarmatians , Massagetes, Illyrians, Dacians or Thracians, whom the historian Aristotle had said they were the descendants of Cadmus and were also known as the Sparti (the sown men). Body-painting or tattooing was customary among these tribes because it was known to have a magical significance in which hereditary symbols were transmitted up to the fourth generation. Also included in these Greek tribes of painted people, on the other side of the world was the royal family of the Uí Néill; this family of Scots were part of the tribe called the “Picts (Picti),” meaning the painted people. Not only did Epimenides and the followers (Ophites etc) of Orphism practice Gnosis, they also hail from a city called Knossos. The Latin name ‘Knossos,’ I have found that it is strongly connected to the modern Greek word ‘Gnosis.’ Thus it makes sense that the first Gnostics would in fact come from the “Ancient City of Gnosis.” This is the city where the 19th century archaeologist, Sir Arthur Evans had found his main discoveries of the people from ancient Crete, whom he had dubbed the ‘Minoans.’ The same place that many historians call the birthplace of Western civilization. Epimenides was simply one of the most powerful Gnostics of his time. Even after his death, he was worshipped like a Saint would be today, and his tattooed skin was held venerable by the Ancient Spartans and Greeks of Crete. In addition to these facts, Plutarch tells us that Epimenides was almost like a messiah to the Greeks at the time, because he had purified Athens and the only reward he would accept was a branch of the sacred olive, and a promise of perpetual friendship between Athens and Knossos. As I mentioned aboveand in the section titled, The First Ancient Mysteries and Secret Societies of Crete, Epimenides was one of the founders of Orphisim. A mystery religion of Gnosis, that deals with secrets, death, passage into the afterlife, and resurrection. These were the secrets of all Gnostic mysteries (secret societies), that taught the initiate not to drink of Lethe (“Forgetfulness”), but of the pool (blood) of Mnemosyne (“Memory”).